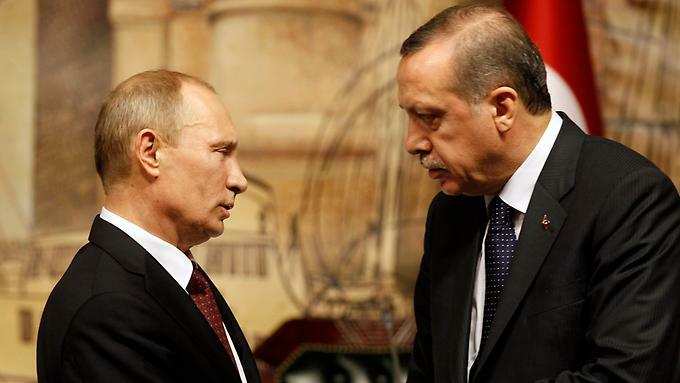 Recep Tayyip Erdogan will visit Moscow on Wednesday morning for talks with Vladimir Putin. The two men will discuss Syria during their meeting, as well as the purchase of Russian S-400 missile systems by Turkey and the construction of the Akkuyu nuclear power plant by Russia. Syria will be the issue topping the agenda as the Turkish president has heralded an invasion of Manbic and the creation of a 30 kilometer safety belt across the Syria-Turkey border. The US president’s announcement that American forces will be withdrawing from the areas controlled by YPG Kurds has led to multiple reactions. Turkey accuses YPG of being a branch of the PKK and a terrorist organization. The US considers them allies in the fight against jihadists. Last week the Turkish president spoke twice on the telephone with US president Donald Trump, while Turkish Foreign Minister Mevlut Cavusoglu spoke with US counterpart Mike Pompeo. Ankara is discussing with the US the creation of a security belt with the presence of Turkish troops within it. This way, it would cut off any contact between Kurds on its southern border. However, his action will be seen by Damascus as a violation of Syria’s sovereignty and provoke a reaction from Moscow. At the same time, developments in Idlib with jihadist branches gaining ground in areas that should have been controlled by Iranian and Turkish forces have caused Russian reaction.